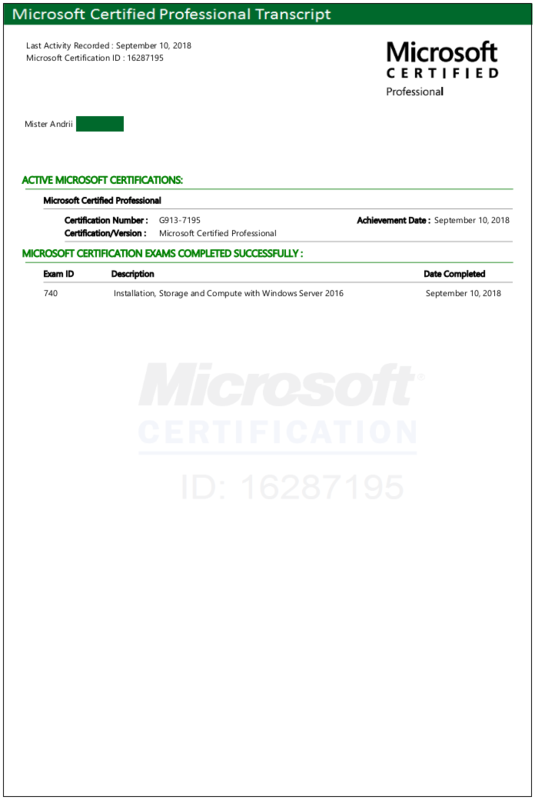 Our specialists continue to confirm their qualifications: we congratulate our colleague Andrii on the successful passing of the 70-740 Installation, Storage and Compute with Windows Server 2016 exam. This exam tests the knowledge about installation, storage, and compute functionalities available in Windows Server 2016. Candidates perform general installation tasks, including installing and configuring Nano Server, as well as creating and managing images for deployment.